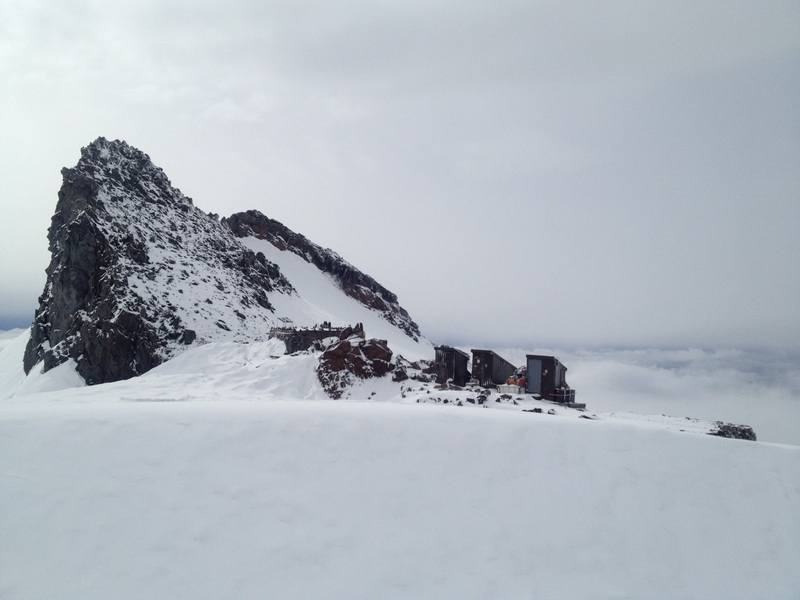 The 3-day climbers had a full mountain experience, although they were unable to make a summit attempt this morning. It rained quite a bit on Sunday on the way up to Camp Muir, although it was snowing at Muir itself. 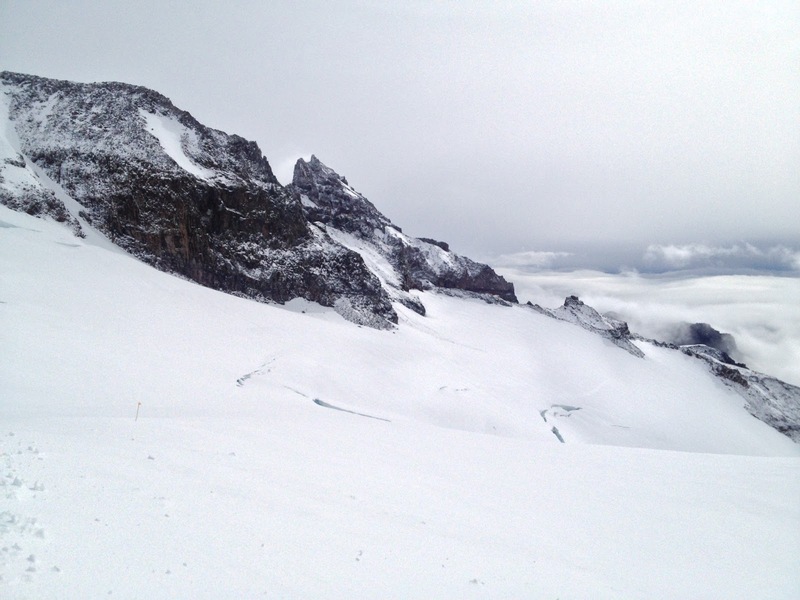 On Monday, everyone braved the elements for an awesome snow school taught by guide “the” Tom Chambers. After snow school, the weather broke on the way to Ingraham Flats, for a beautiful sunset yesterday evening. When the team awoke at 12:30am this morning, as hot drinks were being made, the wind picked up and weather came in, with billowing snow engulfing the tents. The team waited until 5:30am to see if the weather would abate, but sadly the weather window did not arrive. The winds continued to pick up, and the team headed down in gusty conditions. Everyone made it down safely and are currently heading back to Seattle.